Welcome to Cutie Pets Pick Berries! 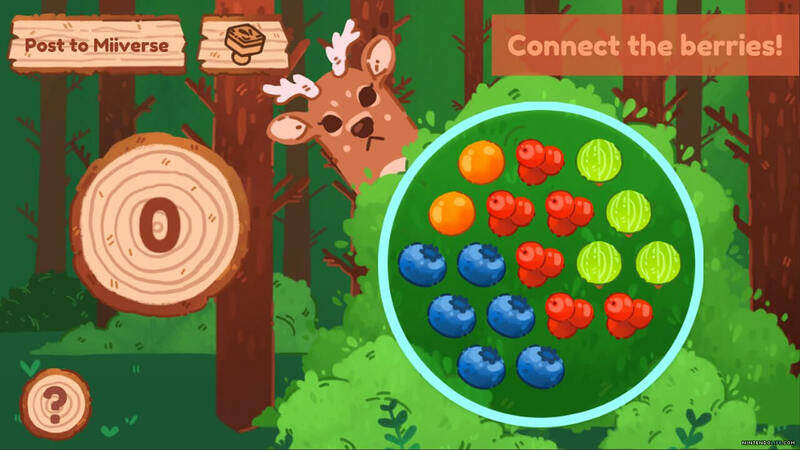 Activate your fun feelings by connecting matching berries in this fast-paced puzzle game. Want more than fun feelings? Want to feel superior? Want to put your bear arms to use? 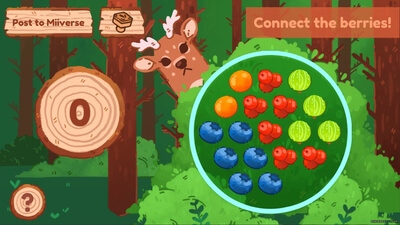 Get score multipliers by completing the board quickly or matching all the berries in one stroke. Now you have a score so astronomical it hurts to conceptualize its magnitude. What now? Post your astronomical high score to Miiverse™ and get praise from Mandeer and tears of amazement from your fellow berry pickers. Did I mention that for every achievement you get, you also unlock a sweet stamp to post on Miiverse™?! Yeah, yeah, I know, we spoil you. It’s because we love you. 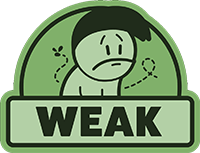 Cutie Pets Pick Berries will not cure your fever for muscular wildlife, but it will give players a fun little diversion for a little while and some fun Miiverse stamps to use. Beyond that, the simple berry-matching game doesn't seem like much of a reason to keep playing, and feels better suited as a mobile game you'd play while messing around on the bus. Maybe with a few more gameplay quirks or some use of its visual theme it could have been more interesting, but as it is there's not much to keep players there - it's fun and plays well, but doesn't offer much. 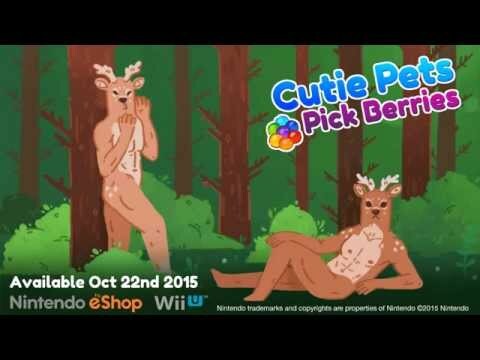 Cutie Pets Pick Berries is a fast-paced and challenging puzzle game that offers plenty of juicy fruit but not nearly enough hairless-chested Mandeer. At the end of day, there is not much to Cutie Pets Pick Berries. The style is silly, but there is no substance to give it any weight. It is entertaining for a little bit, but after that, the game offers nothing to compel the people who foolishly purchased it. That is the saddest part about it. Ultimately, Cutie Pets Pick Berries feels grossly unsuited for its platform, largely through an input method that doesn't suit its fast pace. While there is some fun to be had by creating perfectly constructed combos of fancy fruits, the lack of direction and explanation behind the mechanics make it hard to pick up. While it might (and that's a big might) be hard to put down after that initial stage, the eventual aggravation behind a lack of endgame and its painful controls make it an outing best left out in the woods.